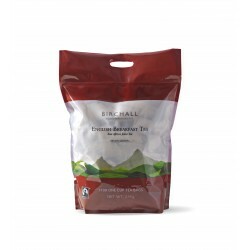 Birchall Tea are dedicated to creating absolutely perfect tasting tea while working hard to ensure that their teas are sustainably sourced in a manner which respects both the environment and their tea producers. For this reason, they are a long standing member of the Ethical Tea Partnership. Every Birchall Tea leaf that arrives in your cup has been hand-picked from tea bushes grown at high altitude in lush volcanic soil and ideal conditions. The result is a cup of tea that is bright, delicious and bursting with full flavour.